The Dirt - Mason Jars! Mason Jar Merchandising is on our minds! Last month we launched the Dos Gringos Mason Jar Collection. This collection features a set of simple, fuss-free arrangements that let Sunflowers, unique greens and fillers shine in a charming, chic way. As consumers respond to the “affordable luxury” associated with this trend, the collection is driving impulse sales and reducing time and labor for floral departments. We love the potential this line holds and we're seeing growth in new purchase orders -- but our work isn’t finished yet. 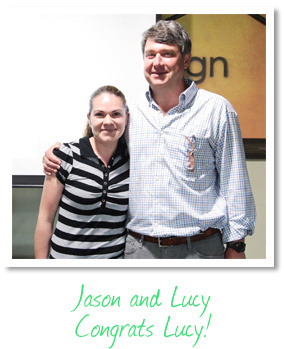 One of the biggest advantages we offer clients is partnership and our willingness to tackle challenges together. We’ve spent a good deal of time in stores the past several weeks to develop out the best practices for merchandising the DG Mason Jar Collection. The sooner consumers can get the jars home – or wherever they plan to enjoy them -- the longer they’ll have to bask in the beauty of bold Sunflowers, greens and fillers. August is filled with quite a bit of travel. Colorado, Texas, and Missouri are all destinations for the DG team. We have several Sunflower promotions currently running, and we look forward to touching base with some long-time clients to see how things are going and how we can further help them. The Produce Marketing Association show, October 18-19, is also on our calendar! We look forward to putting our best flowers forward to help you plan for a successful year-end 2014. Please let us know if there’s something in particular we can do to help your business. 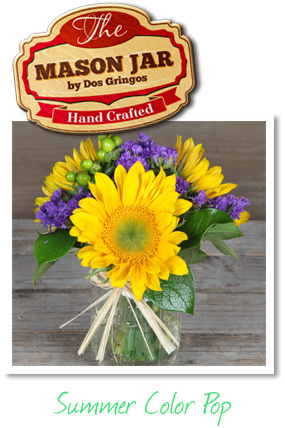 Every time you buy flowers from Dos Gringos, I want that experience to be remarkable. We go to great lengths to plant, grow, and harvest the healthiest, most beautiful items from seed to sale, and I am always prepared to stand by our product quality – but that’s only half the equation. Having a great team is equally important, and I am convinced that “great” means healthy and happy. 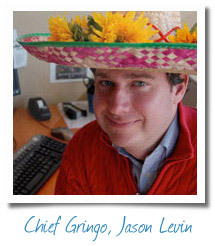 More and more companies are investing in Team Member well-being, and Dos Gringos is no exception. Check out how it pays off! The DG Wellness Program focused on physical health Jan-June. Lucy Vazquez embraced a 12-week weight loss challenge and shed over 50 lbs. Way to go, Lucy! Tell us about it. As one of fourteen children, I have been working since a young age when I pitched in to help out my family. Fortunately, I came to the attention of a good teacher who assisted me in continuing my education. One of my early jobs was actually cleaning the classrooms. I also worked at a sewing factory. I followed my older sister to New York when I was 17 years old and worked there and in Nevada. I was fortunate enough to meet my husband while I was living in New York and we are the proud parents of 3 children – an 8 year old son, and 4 year old and 2 year old daughters. Q. How long have you been with Dos Gringos and in what positions? A. I have been here for 6 years and I have rotated through a number of different positions including packing, box assembly and e-commerce. Right now I am in the packing department. Q. What is your favorite part of your position? A. Quality is very important to me. Not only the quality of the flowers and bouquets but also insuring that they are packed carefully to insure they arrive in perfect condition so that our clients are very happy with what they receive. Q. What is your favorite flower? A. I love all flowers! That is part of the reason I work here. Q. What are you most excited about looking into the future? A. With everything I have learned at Dos Gringos, I hope to someday open my own design -related business. Mental wellness matters, too. The second half of 2014 includes a weekly on-site Mindfulness Seminar about how to be fully present in every interaction. When we say we’re there for you, we’re truly there! Speaking of mental health, we’ll be sending kids back to school before we know it. Grab every opportunity to make the most of summer while it’s here – and don’t forget the flowers!